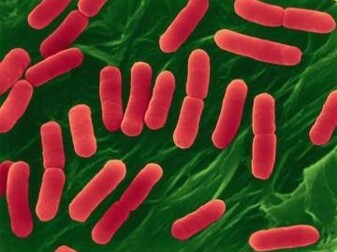 E-coli is a widely spread bacteria. Especially in fresh vegetables like spinach and lettuce, E-coli can cause severe sicknees or casualties. ChlorineDioxide has a kill rate for E-coli of 99,9999% in 1 minute. GO2TM is the safest way to protect food quality. GO2 recommends performing an application test with GO2 in water at your facility. The dosage rate may vary by type of application, the type of contamination, the basic water quality, hygiene procedures, climate and temperature influences. As GO2 is far more efficient and faster than chlorine or sodium hypochlorite the dosage rate of GO2 will be significantly lower. When applying GO2, it is important to first conduct a Demand Test to learn the pre-existing ClO2 demand that the target water will make on the GO2. This is important so that the correct initial dose can be determined. Please contact your local distributor of GO2 International for more details on this important test.